This is the third installment of "Disco Magic", which is 19BOX RECORDINGS' perspective on the natural evolution of their beloved disco sound as it transforms into the revolutionary disco sounds of the 21st century. Think disco, boogie, Balearic sounds and Italo disco all fused together. 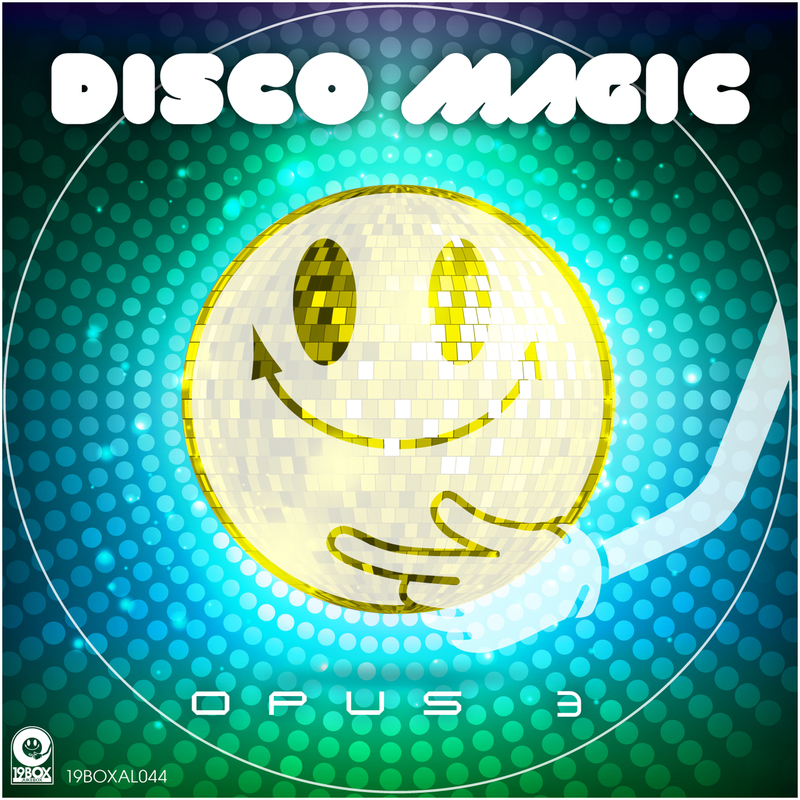 "Disco Magic Opus 3" introduces all that's happening with the modern disco sound, and presents tracks and remixes from DJ 19, Ambrozia, Eric Faria, Pleasure Dome and Bread N Butta. Come on get yourself involved. 19BOX RECORDINGS has been releasing various genres of upfront quality dance music since the label's founding in Tokyo, Japan in 1999. Since then, the label and its boss DJ 19 have gone on to become one of the most respected labels and DJs in Asia. "19" is pronounced "Juku" in Japanese, so this is where the name 19BOX(JUKEBOX) stems from. The concept in the name other than witty word-play was to allow us to keep supplying music on an endless cycle - much like that of a traditional jukebox! As a result of our striving to provide nothing but pedigree tracks to the world of dance music, 19BOX releases have been featured on many of the world's best electronic music compilations like Bedrock, Global Underground, Renaissance and many others. Not content with having one successful label, PARK LIMITED MUZIK emerged from the 19BOX(JUKEBOX) RECORDINGS in 2004 with the remit to release tracks that were little bit different, resulting in the 19BOX name. The inclusion of the word LIMITED is to differentiate it from 19BOX, with a theme of deleting over-promotion and excess packaging. It is a limited production and there are no represses. The sound features a more techy style to 19BOX. And from DJ 19's own party PARK, PARK LIMITED MUZIK has been born.